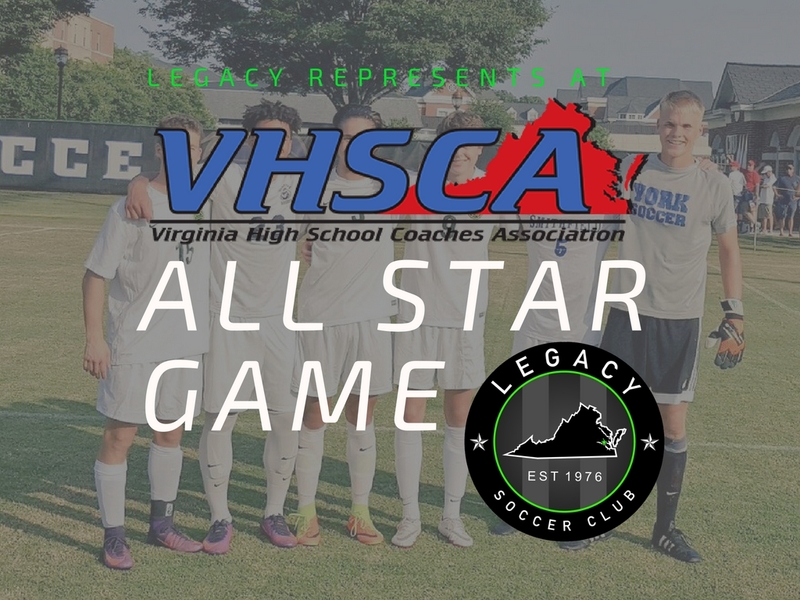 Newport News Va. – On July 12, The Virginia High School Coaches Association held the annual Virginia All-Star game for the 2017 senior class. This Year, seven Legacy players earned the top honor. Justin Wilson, Charlie Skinner, Chuckie Tenbusch, Tanner Herndon, Kevin Tripp, and Jacob Reimers represented for the boys while Gillian Niesel was the lone player in attendance for the girls. In the game, Kevin Tripp earned the MVP vote contributing a hat trick that led the East over the West 4-3. Justin Wilson also scored and added an assist while Charlie Skinner added an assist himself. Jacob Reimers had a shutout during his half of play. Great effort and congratulations to all 7 Legacy players!